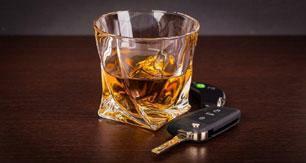 AN ACT INCREASING PENALTIES FOR DRUNK DRIVERS IN THE COMMONWEALTH OF MASSACHUSETTS. Whereas , The deferred operation of this act would tend to defeat its purpose, which is to increase penalties for drunk drivers in the Commonwealth, therefore it is hereby declared to be an emergency law, necessary for the immediate preservation of the public safety. Section 12. (a) Whoever knowingly employs for hire as a motor vehicle operator any person not licensed in accordance with this chapter shall be punished by a fine of not more than $500 and, for a second or subsequent violation, by a fine of not more than $1,000 or imprisonment in the house correction for not more than 1 year, or both. (b) Whoever knowingly permits a motor vehicle owned by him or under his control to be operated by a person who is unlicensed or whose license has been suspended or revoked shall be punished by 1 year in the house of correction and a fine of not more than $500 for a first offense or, for a second or subsequent offense by a fine of not more than $1,000 or imprisonment in a house of correction for not more than 2 1/2 years, or both. (c) Whoever knowingly permits a motor vehicle owned by him or under his control, which is not equipped with a functioning ignition interlock device, to be operated by a person who has an ignition interlock restricted license shall be punished by 1 year in the house of correction and a fine of not more than $500 for a first offense or, for a second or subsequent offense by a fine of not more than $1,000 or imprisonment in a house of correction for not more than 2 1/2 years, or both. For the purposes of this section the term "certified ignition interlock device" shall mean an alcohol breath screening device that prevents a vehicle from starting if it detects a blood alcohol concentration over a preset limit of .02 or 20 mg of alcohol per 100 ml of blood. (d) The registrar may suspend for not more than 1 year the motor vehicle registration of a vehicle used in the commission of a violation of this section or the license or right to operate of the person who commits a violation of this section, or both. Whoever operates a motor vehicle in violation of paragraph (a) of subdivision (1) of section 24, sections 24G or 24L, subsection (a) of section 8 of chapter 90B, sections 8A or 8B of chapter 90B or section 13 1/2 of chapter 265, while his license or right to operate has been suspended or revoked, or after notice of such suspension or revocation of his right to operate a motor vehicle has been issued and received by such person or by his agent or employer, and prior to the restoration of such license or right to operate or the issuance to him of a new license or right to operate, pursuant to paragraph (a) of subdivision (1) of section 24, sections 24G or 24L, subsection (a) of section 8 of chapter 90B, sections 8A or 8B of chapter 90B or section 13 1/2 of chapter 265 shall be punished by a fine of not less than $2,500 nor more than $10,000 and by imprisonment in a house of correction for a mandatory period of not less than 1 year and not more than 2 1/2 years, with said sentence to be served consecutively to and not concurrent with any other sentence or penalty. Such sentence shall not be suspended, nor shall any such person be eligible for probation, parole, or furlough or receive any deduction from his sentence for good conduct until he shall have served said 1 year of such sentence; provided, however, that the commissioner of correction may, on the recommendation of the warden, superintendent or other person in charge of a correctional institution, or of the administrator of a county correctional institution, grant to an offender committed under this paragraph a temporary release in the custody of an officer of such institution only to obtain emergency medical or psychiatric services unavailable at said institution or to engage in employment pursuant to a work release program. Section 87 of chapter 276 shall not apply to any person charged with a violation of this paragraph. Prosecutions commenced under this paragraph shall not be placed on file or continued without a finding. SECTION 3. Section 24 of said chapter 90, as so appearing, is hereby amended by striking out, in lines 64 to 67, inclusive, lines 98 to 100, inclusive, lines 132 to 134, inclusive, and in lines 165 to 168, inclusive, the words ", unless otherwise sentenced to an intermediate sanction as promulgated by the sentencing commission established in chapter four hundred and thirty-two of the acts of nineteen hundred and ninety-three". SECTION 4. Said section 24 of said chapter 90, as so appearing, is hereby further amended by striking out, in lines 352 and 353, the words "six months" and inserting in place thereof the following words:- 1 year. SECTION 5. Said section 24 of said chapter 90, as so appearing, is hereby further amended by striking out, in line 364, the words "one year" and inserting in place thereof the following words:- 18 months. SECTION 6. Subparagraph (2) of paragraph (c) of subdivision (1) of said section 24 of said chapter 90, as so appearing, is hereby amended by adding the following sentence:- A mandatory restriction on a hardship license granted by the registrar under this subparagraph shall be that such person have an ignition interlock device installed on each vehicle owned, each vehicle leased and each vehicle operated by the licensee for the duration of the hardship license. SECTION 6A. Said paragraph (c) of said subdivision (1) of said section 24 of said chapter 90, as so appearing, is hereby further amended by striking out subparagraph (4) and inserting in place thereof the following subparagraph:- (4) In any prosecution commenced pursuant to this section, introduction into evidence of a prior conviction or a prior finding of sufficient facts by either certified attested copies of original court papers, or certified attested copies of the defendant's biographical and informational data from records of the department of probation, any jail or house of corrections, the department of correction, or the registry, shall be prima facie evidence that the defendant before the court had been convicted previously or assigned to an alcohol or controlled substance education, treatment, or rehabilitation program by a court of the commonwealth or any other jurisdiction. Such documentation shall be self-authenticating and admissible, after the commonwealth has established the defendant's guilt on the primary offense, as evidence in any court of the commonwealth to prove the defendant's commission of any prior convictions described therein. The commonwealth shall not be required to introduce any additional corroborating evidence, nor live witness testimony to establish the validity of such prior convictions. SECTION 7. Subparagraph (3) of said paragraph (c) of said subdivision (1) of said section 24 of said chapter 90, as so appearing, is hereby amended by adding the following sentence:- A mandatory restriction on a hardship license granted by the registrar under this subparagraph shall be that such person have an ignition interlock device installed on each vehicle owned, each vehicle leased and each vehicle operated by the licensee for the duration of the hardship license. SECTION 8. Subparagraph (3-1/2) of said paragraph (c) of said subdivision (1) of said section 24 of said chapter 90, as so appearing, is hereby amended by adding the following sentence:- A mandatory restriction on a hardship license granted by the registrar under this subparagraph shall be that such person have an ignition interlock device installed on each vehicle owned, each vehicle leased and each vehicle operated by the licensee for the duration of the hardship license. (iii) impound the vehicle being driven by the operator and arrange for the vehicle to be impounded for a period of 12 hours after the operator's refusal, with the costs for the towing, storage and maintenance of the vehicle to be borne by the operator. The police officer before whom such refusal was made shall, within 24 hours, prepare a report of such refusal. Each report shall be made in a format approved by the registrar and shall be made under the penalties of perjury by the police officer before whom such refusal was made. Each report shall set forth the grounds for the officer's belief that the person arrested had been operating a motor vehicle on a way or place while under the influence of intoxicating liquor, and shall state that such person had refused to submit to a chemical test or analysis when requested by the officer to do so, such refusal having been witnessed by another person other than the defendant. Each report shall identify the police officer who requested the chemical test or analysis and the other person witnessing the refusal. Each report shall be sent forthwith to the registrar along with a copy of the notice of intent to suspend in a form, including electronic or otherwise, that the registrar deems appropriate. A license or right to operate which has been confiscated pursuant to this subparagraph shall be forwarded to the registrar forthwith. The report shall constitute prima facie evidence of the facts set forth therein at any administrative hearing regarding the suspension specified in this section. The suspension of a license or right to operate shall become effective immediately upon receipt of the notification of suspension from the police officer. A suspension for a refusal of either a chemical test or analysis of breath or blood shall run consecutively and not concurrently, both as to any additional suspension periods arising from the same incident, and as to each other. No license or right to operate shall be restored under any circumstances and no restricted or hardship permits shall be issued during the suspension period imposed by this paragraph; provided, however, that the defendant may immediately, upon the entry of a not guilty finding or dismissal of all charges under this section, section 24G, section 24L, or section 13 1/2 of chapter 265, and in the absence of any other alcohol related charges pending against said defendant, apply for and be immediately granted a hearing before the court which took final action on the charges for the purpose of requesting the restoration of said license. At said hearing, there shall be a rebuttable presumption that said license be restored, unless the commonwealth shall establish, by a fair preponderance of the evidence, that restoration of said license would likely endanger the public safety. In all such instances, the court shall issue written findings of fact with its decision. (iii) immediately report action taken under this paragraph to the registrar. Each report shall be made in a format approved by the registrar and shall be made under the penalties of perjury by the police officer. Each report shall set forth the grounds for the officer's belief that the person arrested has been operating a motor vehicle on any way or place while under the influence of intoxicating liquor and that the person's blood alcohol percentage was not less than .08 or that the person was under 21 years of age at the time of the arrest and whose blood alcohol percentage was not less than .02. The report shall indicate that the person was administered a test or analysis, that the operator administering the test or analysis was trained and certified in the administration of the test or analysis, that the test was performed in accordance with the regulations and standards promulgated by the secretary of public safety, that the equipment used for the test was regularly serviced and maintained and that the person administering the test had every reason to believe the equipment was functioning properly at the time the test was administered. Each report shall be sent forthwith to the registrar along with a copy of the notice of intent to suspend, in a form, including electronic or otherwise, that the registrar deems appropriate. A license or right to operate confiscated under this clause shall be forwarded to the registrar forthwith. SECTION 11. The second paragraph of said subparagraph (2) of said paragraph (f) of said subdivision (1) of said section 24 of said chapter 90, as so appearing, is hereby further amended by striking out the first sentence and inserting in place thereof the following sentence:- The license suspension shall become effective immediately upon receipt by the offender of the notice of intent to suspend from a police officer. SECTION 12. Said subparagraph (2) of said paragraph (f) of said subdivision (1) of said section 24 of said chapter 90, as so appearing, is hereby further amended by striking out the fourth paragraph. Section 24 1/2. No person whose license has been suspended in the commonwealth or any other jurisdiction by reason of: an assignment to an alcohol or controlled substance education, treatment or rehabilitation program; or a conviction for violating paragraph (a) of subdivision (1) of section 24, subsection (a) of section 24G, operating a motor vehicle with a percentage by weight of blood alcohol of eight one-hundredths or greater, or while under the influence of intoxicating liquor in violation of subsection (b) of said section 24G, section 24L, section 13 1/2 of chapter 265, subsection (a) of section 8 of chapter 90B, section 8A or 8B of chapter 90B or, in the case of another jurisdiction, for any like offense, shall be issued a new license or right to operate or have his license or right to operate restored if he has previously been so assigned or convicted, unless a certified ignition interlock device has been installed on each vehicle owned, each vehicle leased and each vehicle operated by that person as a precondition to the issuance of a new license or right to operate or the restoration of such person's license or right to operate. A certified ignition interlock device shall be installed on all vehicles owned, leased and operated by the licensee for a period of 2 years and person restricted by a certified ignition interlock device shall have such device inspected, maintained and monitored in accordance with such regulations as the registrar shall promulgate. The registrar may, after hearing, revoke for an extended period or for life, the license of whoever removes such device or fails to have it inspected, maintained or monitored on at least 2 occasions during the period of the restricted license or right to operate if the licensee has operated or attempted to operate a vehicle with a blood alcohol level that caused the certified ignition interlock device to prohibit a vehicle from starting on at least 2 occasions or that recorded a blood alcohol level in excess of .02 on at least 2 occasions. A person aggrieved by a decision of the registrar pursuant to this section may file an appeal in the superior court of the trial court department. If the court determines that the registrar abused his discretion, the court may vacate the suspension or revocation of a license or right to operate or reduce the period of suspension or revocation as ordered by the registrar. SECTION 14. Section 24D of said chapter 90, as so appearing, is hereby further amended by inserting after the word "glue", in line 17, the following words:- , except for a person aged 17 to 21, inclusive, whose blood alcohol percentage, by weight, was not less than .20, in which case such person shall be assigned to a driver alcohol treatment and rehabilitation program known as the "14-day second offender in-home program". Driver alcohol education programs utilized under the provisions of this section shall be established and administered by the department of public health in consultation with the registrar and the secretary of public safety. The department of public health may adopt rules and regulations to carry out its powers and duties to establish and administer driver alcohol education programs in the commonwealth. Any person who is qualified for a disposition under this section, and who at the time of disposition is legally domiciled out-of-state, or is a full-time student residing out-of-state, may at the discretion of the court, be assigned to an out-of-state driver alcohol education program. 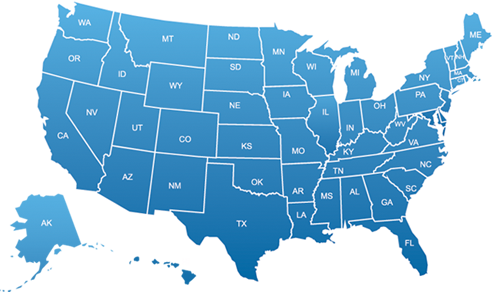 The out-of-state program must be licensed by the appropriate state authority in the jurisdiction where the person is legally domiciled or is a full-time student. If the out-of-state driver alcohol education program contains fewer treatment service hours than is required by the department of public health, additional service treatment hours must be obtained to achieve equivalence with the driver alcohol education program requirement of the commonwealth. Alcohol or controlled substance abuse treatment, rehabilitation program or alcohol or controlled substance abuse treatment and rehabilitation programs utilized under the provisions of this section shall include any public or private out-patient clinic, hospital, employer or union-sponsored program, self-help group, or any other organization, facility, service or program which the department of public health has accepted as appropriate for the purposes of this section. The department of public health shall prepare and publish annually a list of all such accepted alcohol treatment, rehabilitation programs and alcohol treatment and rehabilitation programs in the commonwealth, shall make this list available upon request to members of the public, and shall from time to time furnish each court in the commonwealth, the registrar, and the secretary of public safety with a current copy of such list. The list shall also include the single state authority contacts for other states that operate driver alcohol education programs. SECTION 16. Section 24G of said chapter 90, as so appearing, is hereby amended by striking out, in line 50, the word "ten" and inserting in place thereof the following figure:- 15. Section 24Q. A mandatory condition of any sentence imposed for: (1) a conviction or an assignment to an alcohol or controlled substance education, treatment or rehabilitation program if evidence in the prosecution of a violation of this chapter or chapter 90B was that a person's blood alcohol percentage, by weight, was not less .20 or (2) an assignment to an alcohol or controlled substance education, treatment or rehabilitation program or a conviction for violating paragraph (a) of subdivision (1) of section 24, subsection (a) of section 24G, operating a motor vehicle with a percentage by weight of blood alcohol of eight one-hundredths or greater, or while under the influence of intoxicating liquor in violation of subsection (b) of said section 24G, section 24L, subsection (a) of section 8 of chapter 90B, section 8A or 8B of chapter 90B, or section 13 1/2 of chapter 265 or, in the case of any other jurisdiction, for any like offense, if the person being sentenced has previously been so assigned or convicted of a like offense, shall be that such person complete an alcohol or drug assessment conducted by the department of public health or other court-approved program. The assessment shall include, but not be limited to, an assessment of the level of the offender's addiction to alcohol or drugs, and the department's recommended course of treatment. Such assessment and recommended course of treatment shall be reported to the offender's probation or parole officer. No person shall be excluded from an assessment for inability to pay if the offender files an affidavit of indigency or inability to pay with the court and an investigation by the probation or parole officer confirms such indigency or establishes that such payment would cause a grave and serious hardship to the offender or his family, and the court enters written findings relative thereto. The commissioner of public health may make such rules and regulations as are necessary or proper to carry out this section. Section 24R. (a) Notwithstanding section 24 or section 24D, the registrar shall revoke for life the license or right to operate of a person assigned to an alcohol or controlled substance education, treatment, or rehabilitation program or convicted of a violation of subsection (a) of section 24G, operating a motor vehicle with a percentage by weight of blood alcohol of eight one-hundredths or greater, or while under the influence of intoxicating liquor in violation of subsection (b) of said section 24G, section 24L, section 8A or 8B of chapter 90B, or section 13 1/2 of chapter 265 who has previously been convicted of a violation of subdivision (a) of section 24 or a like violation in another jurisdiction. (b) Notwithstanding section 24, the registrar shall revoke for life the license or right to operate of any person convicted of a violation of subdivision (a) of section 24G who has previously been assigned to an alcohol or controlled substance education, treatment, or rehabilitation program by a court of the commonwealth, or convicted of violation of paragraph (a) of subdivision (1) of section 24, subsection (a) of section 24G, operating a motor vehicle with a percentage by weight of blood alcohol of eight one-hundredths or greater, or while under the influence of intoxicating liquor in violation of subsection (b) of said section 24G, section 24L, subsection (a) of section 8 of chapter 90B, or section 8A or 8B of chapter 90B, section 13 1/2 of chapter 265 or a like violation in another jurisdiction. Section 24S. (a) Whoever, upon any way or place to which the public has a right of access, or upon any way or place to which members of the public have access as invitees or licensees, operates a motor vehicle that is not equipped with a certified functioning ignition interlock device while his license or right to operate has been restricted to operating only motor vehicles equipped with such device shall be punished by fine of not less than $1,000 nor more than $15,000 and by imprisonment for not less than 180 days nor more than 2 1/2 years or by a fine of not less than $1,000 nor more than $15,000 and by imprisonment in the state prison for not less than 2 1/2 years nor more than 5 years. The sentence imposed upon such person shall not be reduced to less than 150 days, nor suspended, nor shall any such person be eligible for probation, parole or furlough or receive any deduction from his sentence for good conduct until he shall have served 150 days of such sentence. The commissioner of correction may, on the recommendation of the warden, superintendent, or other person in charge of a correctional institution, or the administrator of a county correctional institution, grant to an offender committed under this subsection a temporary release in the custody of an officer of such institution for the following purposes only: to attend the funeral of a relative; to visit a critically ill relative; to obtain emergency medical or psychiatric services unavailable at that institution; to engage in employment pursuant to a work release program; or for the purposes of an aftercare program designed to support the recovery of an offender who has completed an alcohol or controlled substance education, treatment or rehabilitation program operated by the department of correction. The defendant may serve all or part of such 150-day sentence, to the extent such resources are available, in a correctional facility specifically designated by the department of correction for the incarceration and rehabilitation of drinking drivers. (b) For the purposes of this section the term "certified ignition interlock device" shall mean an alcohol breath screening device that prevents a vehicle from starting if it detects a blood alcohol concentration over a preset limit of .02 or 20 mg of alcohol per 100 ml of blood. Section 24T. (a) Whoever interferes with or tampers with a certified ignition interlock device, with the intent to disable such device, shall be punished by imprisonment in the house of correction for not less than 6 months nor more than 2 1/2 years or by imprisonment in the state prison for not less than 3 years nor more than 5 years. Section 24U. (a)(1) Whoever knowingly breathes into a certified ignition interlock device as defined in section 24T or starts a motor vehicle equipped with such a device for the purpose of providing an operable motor vehicle to a person whose license or right to operate a vehicle is restricted to the operation of vehicles equipped with a certified ignition interlock device shall be punished by a fine not less than $1,000 nor more than $5,000 or imprisonment in a house of correction for not less than 6 months nor more than 2 1/2 years in the house of correction and, for a second or subsequent conviction, by imprisonment in a state prison for not less than 3 nor more than 5 years. (2) A certified copy of an acknowledgement of the existence and terms of certified ignition interlock device restriction, executed by a person alleged to have violated this section shall be admissible as evidence to prove the existence of such knowledge by the person who executed the document. Section 24V. (a) Whoever violates paragraph (a) of subdivision (1) of section 24, subsection (a) of section 24G, operating a motor vehicle with a percentage by weight of blood alcohol of eight one-hundredths or greater, or while under the influence of intoxicating liquor in violation of subsection (b) of said section 24G, section 24L, subsection (a) of section 8 of chapter 90B, or section 8A or 8B of chapter 90B, or section 13 1/2 of chapter 265 with a child 14 years of age or younger in the motor vehicle or vessel shall also be guilty of child endangerment while operating a motor vehicle or vessel under the influence and shall be punished by an enhanced penalty of a fine of not less than $1,000 nor more than $5,000 and by imprisonment in the house of correction for not less than 90 days nor more than 2 1/2 years. If a defendant has previously violated this subsection or a like offense in another jurisdiction preceding the date of the commission of the offense for which he has been convicted, he shall be punished by a fine of not less than $5,000 nor more than $10,000 and by imprisonment in the house of correction for not less than 6 months nor more than 2 1/2 years or by imprisonment in state prison for not less than 3 years but not more than 5 years. The sentence of imprisonment imposed upon such person shall not be reduced to less than 6 months, nor suspended, nor shall any such person be eligible for probation, parole, or furlough or receive any deduction from his sentence for good conduct until he shall have served at least 6 months of such sentence but the commissioner of correction may, on the recommendation of the warden, superintendent or other person in charge of a correctional institution, or of the administrator of a county correctional institution, grant to an offender committed under this subsection a temporary release in the custody of an officer of such institution for the following purposes only: to attend the funeral of a relative; to visit a critically ill relative; to obtain emergency medical or psychiatric services unavailable at the institution; or to engage in employment pursuant to a work release program. A sentence imposed under this subsection shall be served consecutively to and not concurrently with the predicate violation of said paragraph (a) of subdivision (1) of section 24, subsection (a) of section 24G, subsection (b) of section 24G, section 24L, subsection (a) of section 8 of chapter 90B, or section 8A or 8B of chapter 90B, section 13 1/2 of chapter 265. Section 87 of chapter 276 and sections 1 to 9, inclusive, of chapter 276A shall not apply to a person charged with a violation of this subsection. Prosecutions commenced under this subsection shall not be placed on file or continued without a finding. (b) The registrar shall suspend the license or right to operate of person who violates this section for a period of 1 year for a first offense, and for a period of 3 years for a second or subsequent violation. Section 24W. (a) A motor vehicle or vessel owned by a person who has been assigned to an alcohol or controlled substance education, treatment or rehabilitation program or who was convicted of a violation of paragraph (a) of subdivision (1) of section 24, subsection (a) of section 24G, operating a motor vehicle with a percentage by weight of blood alcohol of eight one-hundredths or greater, or while under the influence of intoxicating liquor in violation of subsection (b) of said section 24G, section 24L, subsection (a) of section 8 of chapter 90B, section 8A or 8B of chapter 90B, or section 13 1/2 of chapter 265 or, in the case of another jurisdiction, for any like offense, if owned by such operator, may be forfeited to the commonwealth if such person has been so assigned or so convicted previously at least 3 times. (b) A district attorney or the attorney general may petition the superior or district court in the name of the commonwealth in the nature of a proceeding in rem to order forfeiture of such motor vehicle or vessel. The petition shall be filed in the court having jurisdiction over the criminal proceeding brought under this section. The proceeding shall be deemed a civil suit in equity. In all such actions where the motor vehicle or vessel is jointly owned before the date of the second or subsequent operating under the influence offense committed by the defendant by either a parent, spouse, child, grandparent, brother, sister, or parent of the spouse living in the defendant's household, the commonwealth shall have the burden of proving to the court the existence of probable cause to institute the action, and the claimant shall have the burden of proving to the court's satisfaction that the property is not forfeitable because the claimant is dependent on the motor vehicle or vessel for his livelihood or the maintenance of his family. The court shall order the commonwealth to give notice by certified or registered mail to the owners of the motor vehicle or vessel and to such other persons or entities who appear to have an interest therein, and the court shall promptly, but not less than 2 weeks after notice, hold a hearing on the petition. Upon the motion of an owner of the motor vehicle or vessel, the court may continue the hearing on the petition pending the outcome of a criminal trial related to a charge of operating under the influence in violation of this chapter or chapter 90B. During the pendency of the proceedings, the court may issue at the request of the commonwealth ex parte any preliminary order or process as is necessary to seize or secure the property for which forfeiture is sought and to provide for its custody. Process for seizure of the property shall issue only upon a showing of probable cause, and the application therefore and the issuance, execution and return thereof shall be subject to chapter 276, as applicable. (c) At a hearing under this section, the court shall hear evidence and make findings of fact and conclusions of law, and shall thereon issue a final order from which the parties shall have such right of appeal as from a decree in equity. No forfeiture under this section shall extinguish a perfected security interest held by a creditor in the property at the time of the filing of the forfeiture action. In all actions where a final order results in forfeiture, the final order shall provide for disposition of the property by the commonwealth or any subdivision thereof in any manner not prohibited by law, including official use by an authorized law enforcement or other agency, or at sale at public auction or by competitive bidding, with such sale being conducted by the office of the district attorney or the attorney general that obtained the final order of forfeiture. (d) The final order of the court shall provide that the proceeds of any such sale shall be used to pay the reasonable expenses of the forfeiture proceedings, seizure, storage, maintenance of custody, advertising and notice, and the balance of any such sale shall be distributed equally among the prosecuting district attorney or attorney general, the city, town or state police department involved in the forfeiture and the Victims of Drunk Driving Trust Fund established in section 66 of chapter 10. If more than 1 department was substantially involved in the seizure, the court having jurisdiction over the forfeiture proceeding shall distribute the portion for law enforcement equitably among the departments. (e) There shall be established within the office of the state treasurer a separate Operating Under the Influence Deterrent Trust Fund for each district attorney and for the attorney general. All monies and proceeds received by a prosecuting district attorney or attorney general pursuant to this section shall be deposited in the fund and shall be expended without further appropriation to defray the costs of investigations, to provide additional technical equipment or expertise, to provide matching funds to obtain federal grants, or for such other law enforcement purposes as the district attorney or attorney general deems appropriate. Any program seeking to be an eligible recipient of the funds shall file an annual audit report with the local district attorney and attorney general. Such report shall include, but not be limited to, a listing of the assets, liabilities, itemized expenditures and board of directors of the program. Within 90 days of the close of the fiscal year, each district attorney and the attorney general shall file an annual report with the house and senate committees on ways and means on the use of the monies in the trust fund for the purposes of deterring operating under the influence programs. (f) All moneys and proceeds received by a police department shall be deposited into the fund and shall be expended without further appropriation to defray the costs of investigations, to provide additional technical equipment or expertise, to provide matching funds to obtain federal grants, or to accomplish such other law enforcement purposes as the chief of police of such city or town, or the colonel of state police deem appropriate, but such funds shall not be considered a source of revenue to meet the operating needs of such department. Section 24X. The registration of a motor vehicle owned by a person who is assigned to an alcohol or controlled substance education, treatment or rehabilitation program or who is convicted of a violation of paragraph (a) of subdivision (1) of section 24, subsection (a) of section 24G, operating a motor vehicle with a percentage by weight of blood alcohol of eight one-hundredths or greater, or while under the influence of intoxicating liquor in violation of subsection (b) of section 24G, section 24L, subsection (a) of section 8 of chapter 90B, section 13 1/2 of chapter 265, or section 8A or 8B of chapter 90B, or, in the case of another jurisdiction, for any like offense, may be cancelled and the registration plates for such vehicle seized for the period of the suspension or revocation of the license or right to operate due to such assignment or conviction, if the person has been so assigned or so convicted previously at least 2 times. No new registration shall be issued to such person during the period of the suspension or revocation of the license or right to operate. Whoever takes and carries away the registration plate that is attached to the vehicle of another or is assigned by the registry of motor vehicles to another shall be punished by a fine of not less than $500 nor more than $1,000 or imprisonment in the house of correction for not more than 2 1/2 years, or both. (a) of inspection of the certified ignition interlock device for accurate operation by an entity approved by the registrar not less than once every 30 days for the duration of any license ignition interlock device restriction. (7) cause registry records to reflect an ignition interlock device restriction on the records of any such licensee and the duration thereof. (8) require that any operation in violation of the ignition interlock restriction or any violation of the required inspection, monitoring or reporting requirements shall result in permanent revocation, after hearing, of a hardship license and an additional 10 year license suspension, during which such person shall not be eligible for a hardship license. (9) require, as a precondition to issuing to any ignition interlock device restricted license, the execution of an acknowledgment signed under penalty of perjury by each other licensed operator residing with a person seeking a hardship license or the restoration of his license and who is required to have ignition interlock devices on all vehicles owned, leased or operated by him that they know and understand that: the person issued an ignition interlock device restricted license may not operate a vehicle that is not equipped with an ignition interlock device and that to breathe into an ignition device or start a motor vehicle for such person in order to provide such person with an operable motor vehicle is punishable by incarceration. Such acknowledgement shall be admissible in any prosecution of section 24U of chapter 90 of the General Laws and shall be prima facie evidence of such knowledge by the person who executed such document. Section 13 1/2. Whoever commits manslaughter while operating a motor vehicle in violation of paragraph (a) of subdivision (1) of section 24 of chapter 90 or section 8A of chapter 90B, shall be punished by imprisonment in the state prison for not less than 5 years and not more than 20 years, and by a fine of not more than $25,000. The sentence of imprisonment imposed upon such person shall not be reduced to less than 5 years, nor suspended, nor shall any such person be eligible for probation, parole or furlough or receive a deduction from his sentence for good conduct until he shall have served 5 years of such sentence. The commissioner of correction may, on the recommendation of the warden, superintendent or other person in charge of a correctional institution, or of the administrator of a county correctional institution, grant to an offender committed under this section a temporary release in the custody of an officer of such institution for the following purposes only: to attend the funeral of a relative; to visit a critically ill relative; to obtain emergency medical or psychiatric services unavailable at said institution; or to engage in employment pursuant to a work release program. Upon receipt of notice of a conviction under this section, the registrar may suspend the license or right to operate of such person for any extended period up to life, provided that such suspension be at least a 15 year period. A person aggrieved by a decision of the registrar pursuant to this section may file an appeal in the superior court of the trial court department. If the court determines that the registrar abused his discretion, the court may vacate the suspension or revocation of a license or right to operate and reduce the period of suspension or revocation as ordered by the registrar, but in no event may the reduced period of suspension be for less than 15 years. SECTION 21. Any assignment to an alcohol or controlled substance education, treatment or rehabilitation program or conviction rendered before the effective date of this act shall be considered a previous assignment or conviction for the purposes of this act. SECTION 22. Subsection (c) of section 12 of chapter 90 of the General Laws, as inserted by section 1, sections 6, 7, 8, 13, 14, section 24S, 24T, and 24U of said chapter 90 of the General Laws, as inserted by section 17, and section 19 shall take effect on January 1, 2006. All other provisions shall take effect upon the effective date of this act.